Miranda Cosgrove’s advice: Get support! – Live! Starring ... You! Miranda Cosgrove’s advice: Get support! iCarly star Miranda Cosgrove after her interview with LSY! reporter Lauren McDaniel, left, and photographer Erika Taylor, right. Photo by Tim O’Shei. 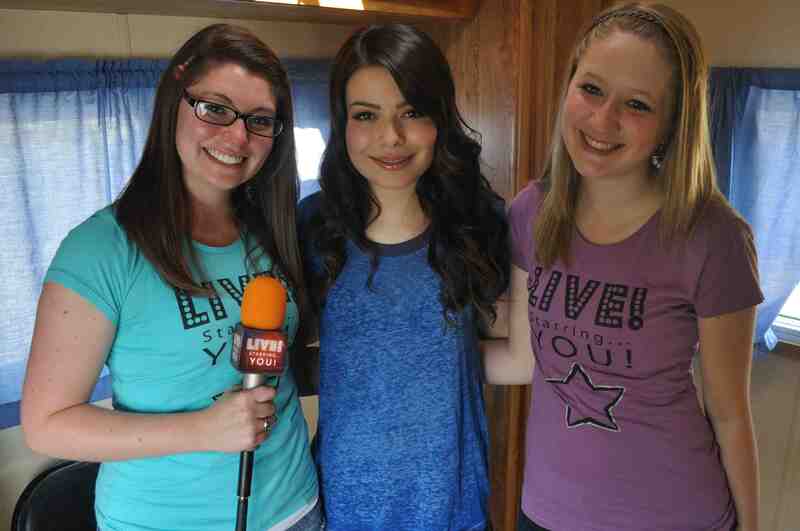 When we caught up with iCarly star Miranda Cosgrove last weekend, we asked her to deliver a message to Live! Starring … You! fans who dream of having a career like hers. Make sure you have somebody who’s always backing you. No doubt, the support is the kind that comes from your parents. I’ve heard the same thing from many stars. In fact, when I interviewed singer and Desparate Housewives star Vanessa Williams, she said the same thing. In other words, Vanessa was saying that entertainers who have a hard time dealing with the spotlight and often end up in tabloid headlines usually didn’t have the support of parents when trying to start their careers. What does this mean for you? If you’re trying to launch any challenging career – whether it’s in entertainment, sports, or anything else – try not to do it alone. Build a solid support team, one that hopefully starts with parents and family … and above all, make sure you have total trust in the people around you.